Shamrock Farms Rockin’ Protein is my family’s favorite way to nourish our bodies and get the protein we need to look, feel, and perform at our best! 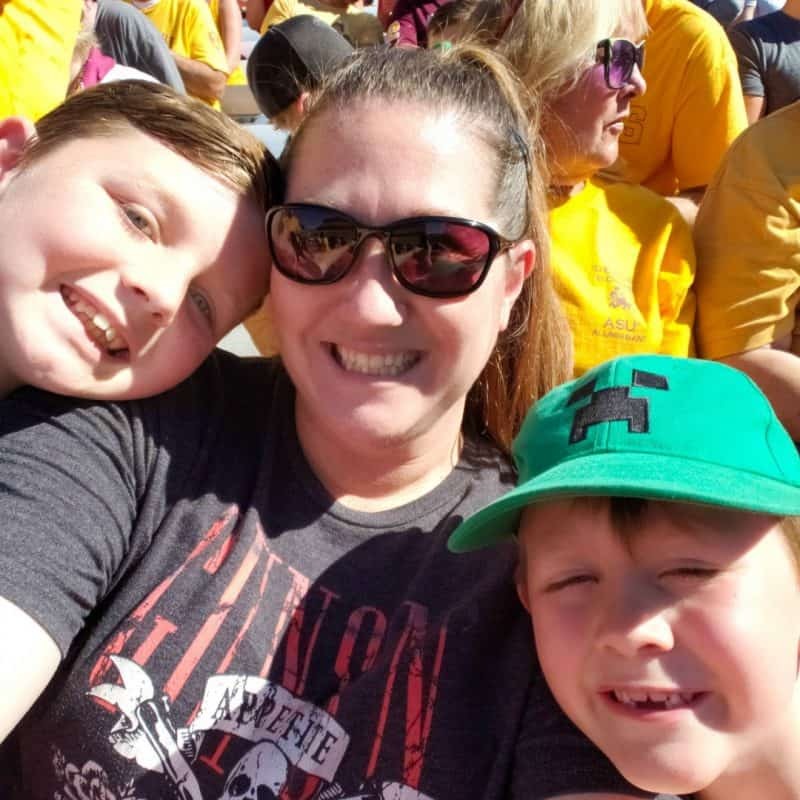 It’s been ages since I’ve been to Arizona State University for a football game, but last week I got the change to take all my boys and it was the best! 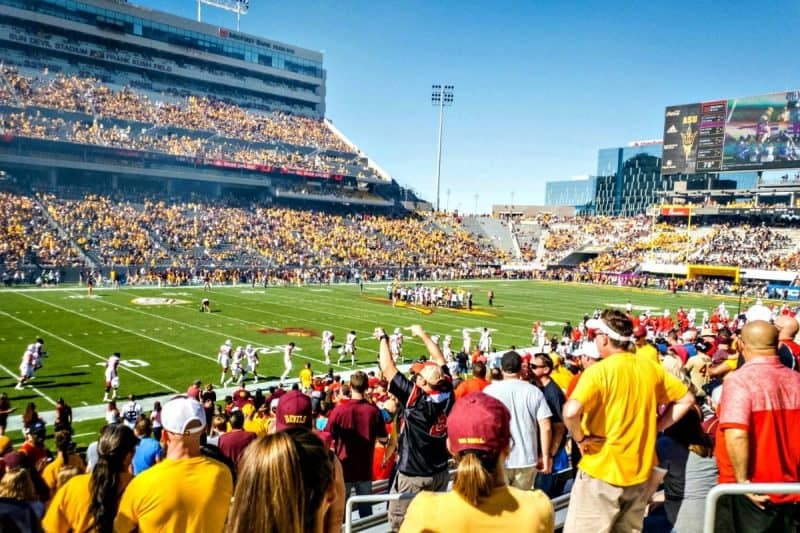 Mike and I are both ASU alumni’s and while we love football, we’ve been waiting for the boys to be old enough to go. 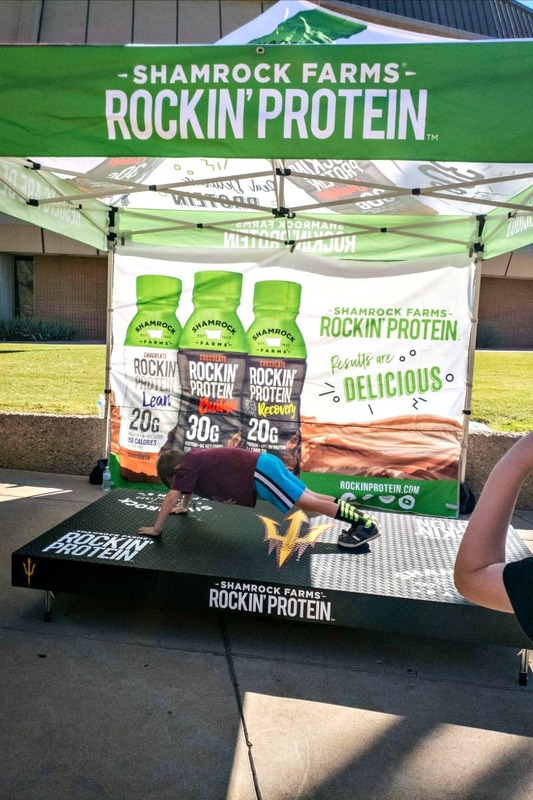 This was the year and we all had a blast cheering on the Sun Devils and support Shamrock Farms‘ donation efforts at the Rockin’ Protein tent! 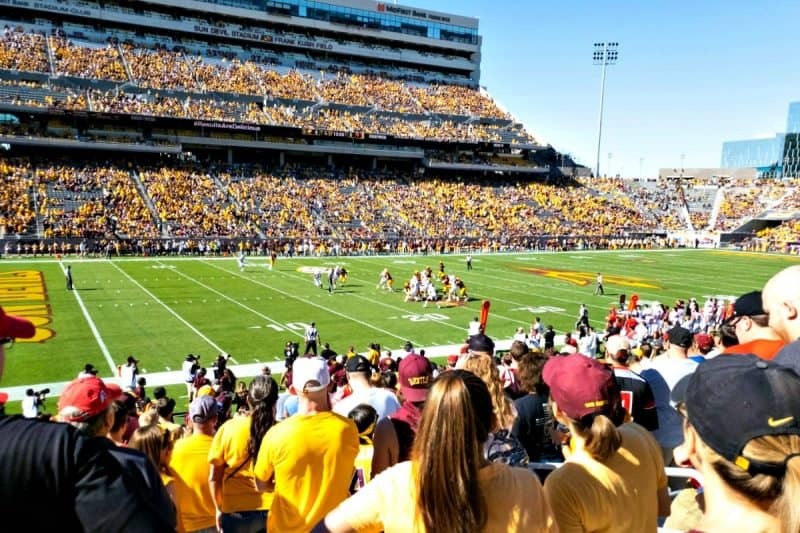 Shamrock Farms is the official protein and milk beverage of Sun Devil Athletics program. 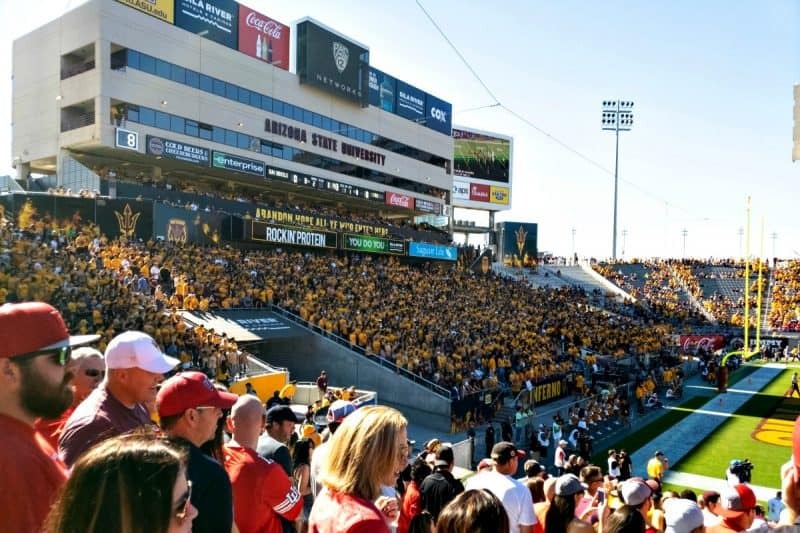 They’ve created a newly designed Student-Athlete Facility to support our Sun Devils as the work hard, and they’ve got a big old sign above the student section at the south end of the stadium to show some ASU love. This year alone, Shamrock Farms is donating up to 50,000 servings of fresh milk to St. Mary’s Food Bank Alliance. That doubles last year’s program donation of 25,000 servings. We wanted to do our part to support the community so we took the boys by the Rockin’ Protein tent on our way into the game. They each took on the Protein Pushup Challenge to see how many pushups they could do in 30 seconds. The boys did about 29 pushups between the two of them. You might have caught Eddie working it out on my Instastories. They were so proud of how they did and we were too. It was a great way to kick off our experience at the game. 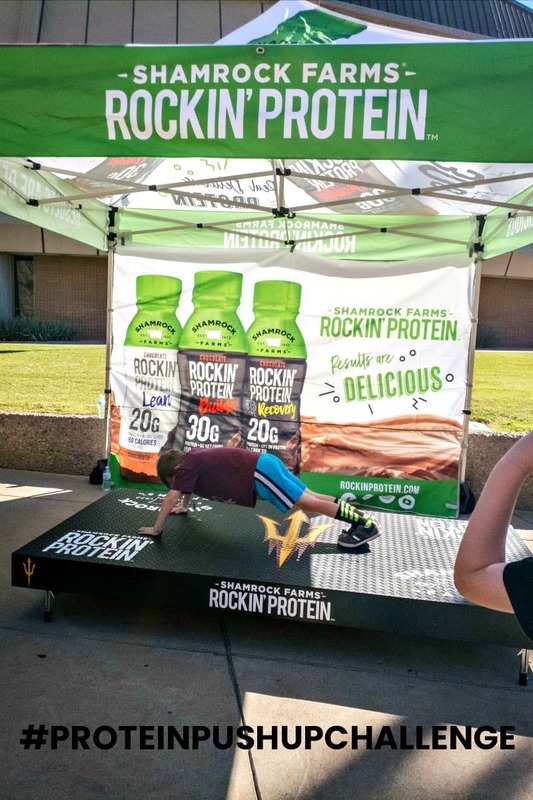 Shamrock Farm’s Rockin’ Protein tent will be at the 11/10 and 11/24 Duel in the Dessert ASU football games over by the Southeast corner of the stadium (outside the gates) between the walkway from lot 59 and Wells Fargo Arena. I encourage all of you to head down to the stadium, enjoy a game, and participate in the #ProteinPushupChallenge! The boys loved watching the game live, begged to have our keys to jiggle them along with Sparky, and even noticed Sparky rocking out him own pushups during the game. It was a really fun day out together and we’ve promised to take them to another game next season. My boys’ Shamrock Farms fixation didn’t end at the game. On the way home, they rehashed the trip we took to the Shamrock Farms dairy farm in Maricopa a few years ago to Mike since he didn’t come on the tour with us. They’ve started asking when we can go back to the farm too. But I’m helping them make due by picking up some Rockin’ Protein in the dairy section of our local grocery store, just look for he green top! The boys love getting their own little milk to go with breakfast on the weekends and I love knowing they’re getting the protein they need to fuel up for all their activities and craziness during the day. 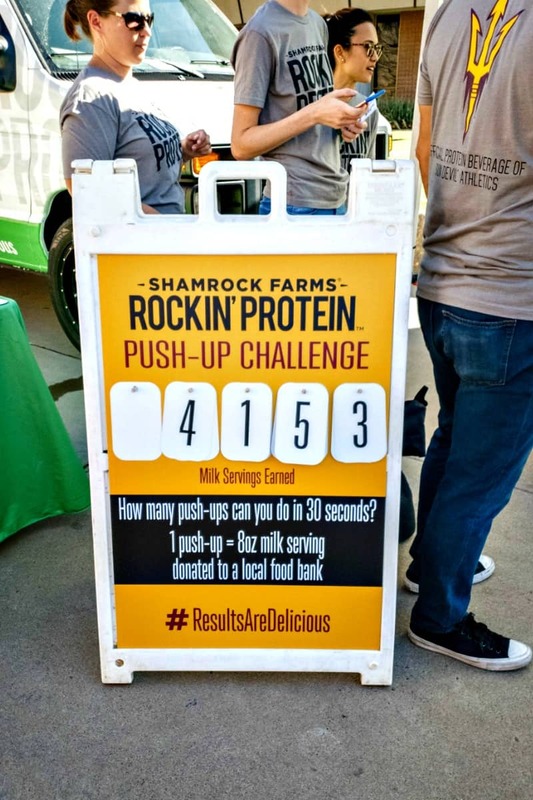 Rockin’ Protein is totally delicious too, but I’d expect nothing less when it’s made from Shamrock Farms milk! I like the vanilla, but Otto has always been a chocolate kid and Eddie likes Strawberry. Luckily there’s an option for each of us. If you’re not local, you can show off your pushup skills too! 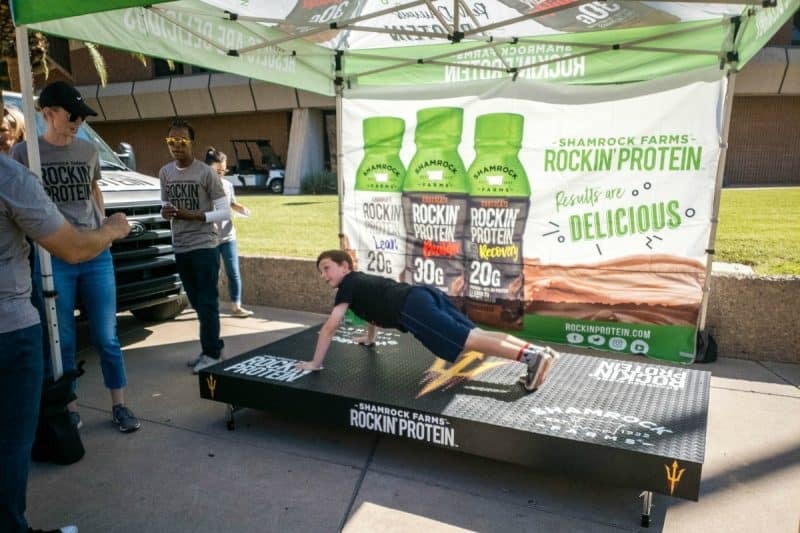 Share a video of you seeing how many pushups you can do in 30 seconds on social media using #proteinpushupchallenge. My boys want to see if anyone can beat their number so be sure to tag me @BreadBoozeBacon too. 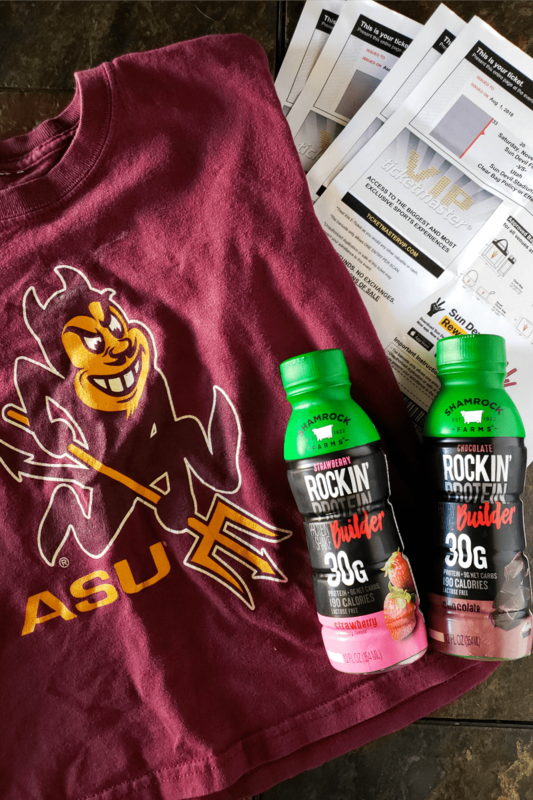 Be sure to fuel up with Rockin’ Protein and let your inner Sun Devil out!